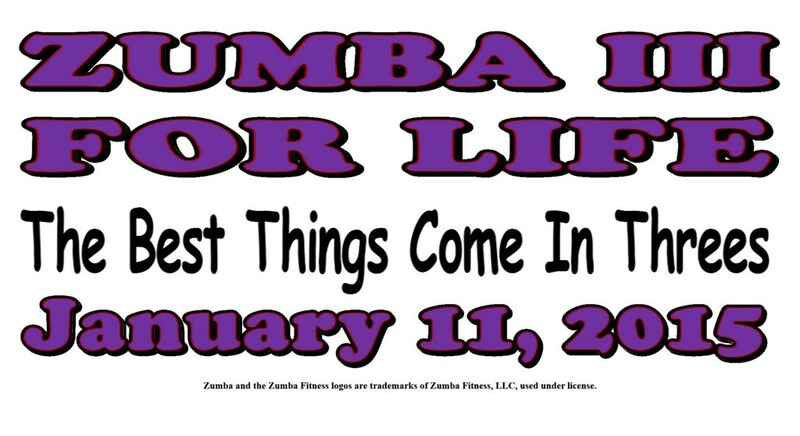 Over the past two years Joe Gillette and Kathie Smith have been organizing a massive Zumba event each winter. The events have been heal at Aviator Sports Complex and have typically had anywhere from 400-500 participants dancing there butts off to help raise money for cancer awareness. 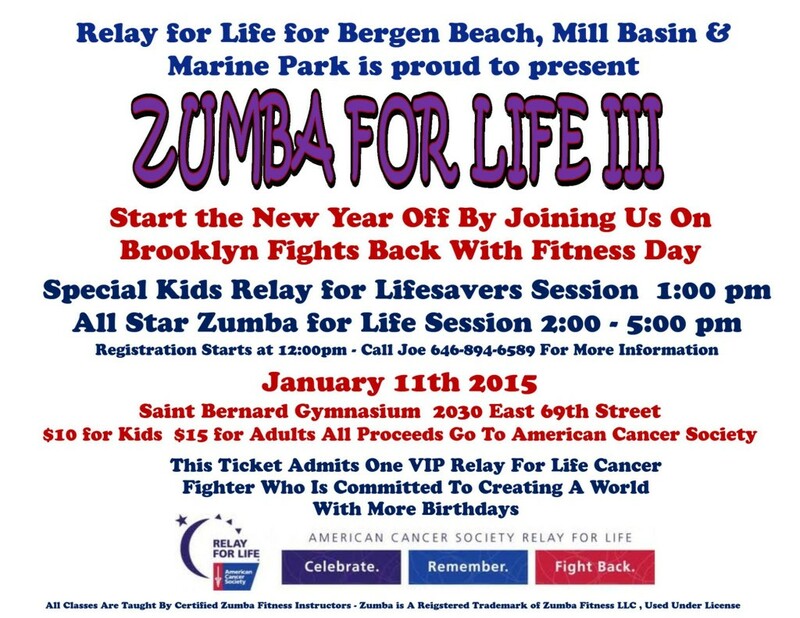 This year the event will be moving to Bergen Beach. It will be help at St . Bernard’s gymnasium located two blocks from our office on E 69 St between Ave U and Veterans Ave. The office will be taking part in the event. Dr. Baio will be on hand to answer questions. Our resident Acupuncturist, Stacy Moon, will be on hand as well to field question and lead the group in a Yogarobics class to help wind down the event. Our New Massage therapist, Adele Green, will be on had providing massages at a nominal fee (a percentage of the fee will be donated to Relay4life).